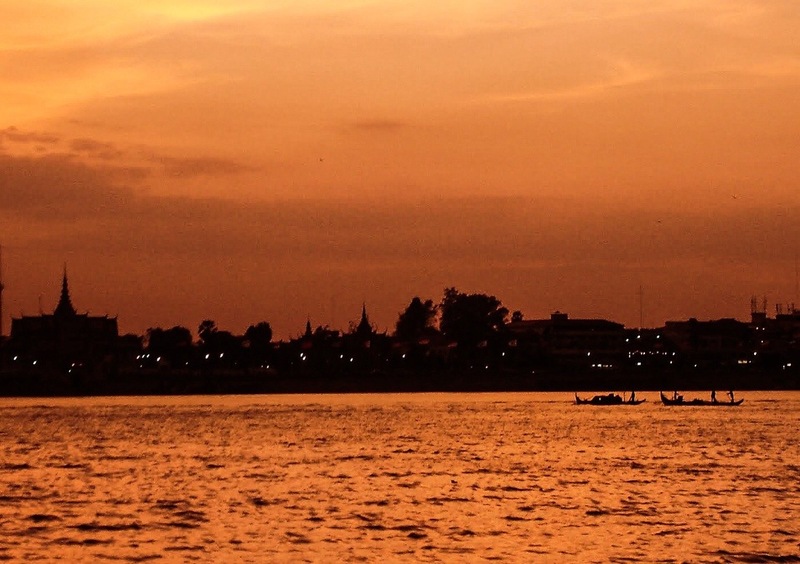 A magical view of Phnom Penh at sunset, from the Mekong. To the left is the spire of the Royal Palace. 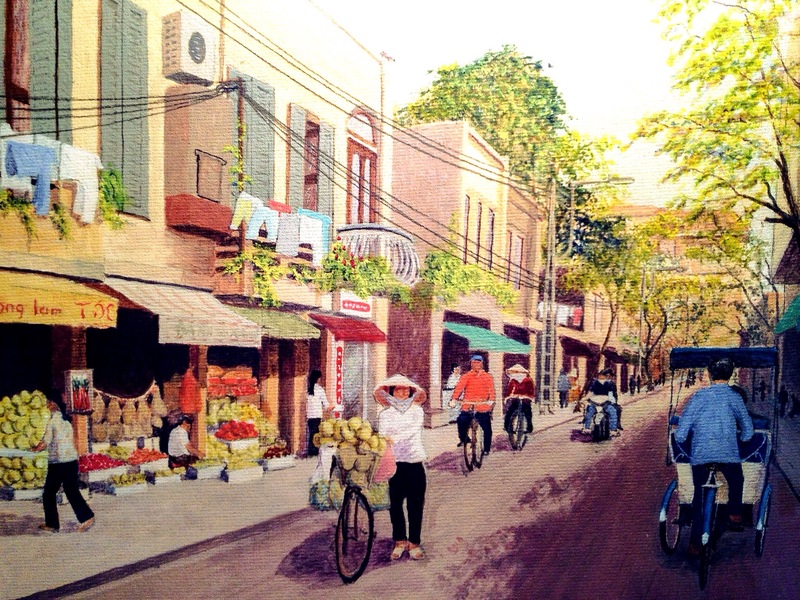 This was my introduction to Cambodia, having travelled up-river from Vietnam. 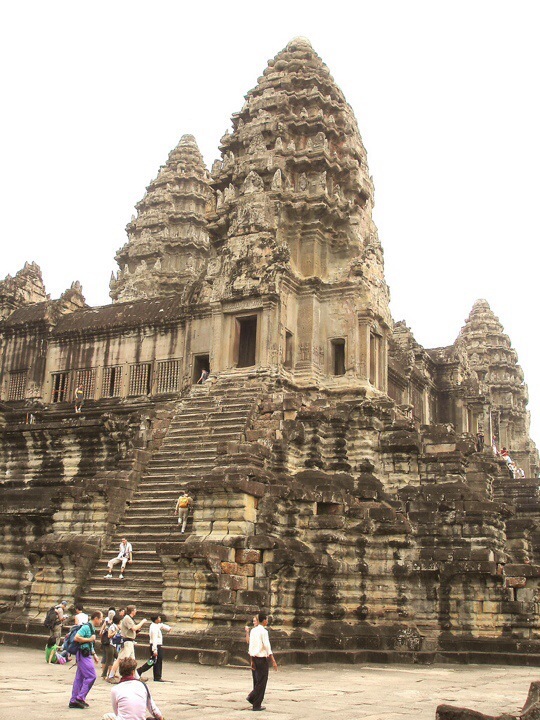 Reading Michael Lai’s blog and the fascinating structures at Angkor Wat, inevitably remind me of my last visit. Shown here are the precipitous steps up to the top of the central citadel. Bad enough going up but not for the faint hearted, going down again! 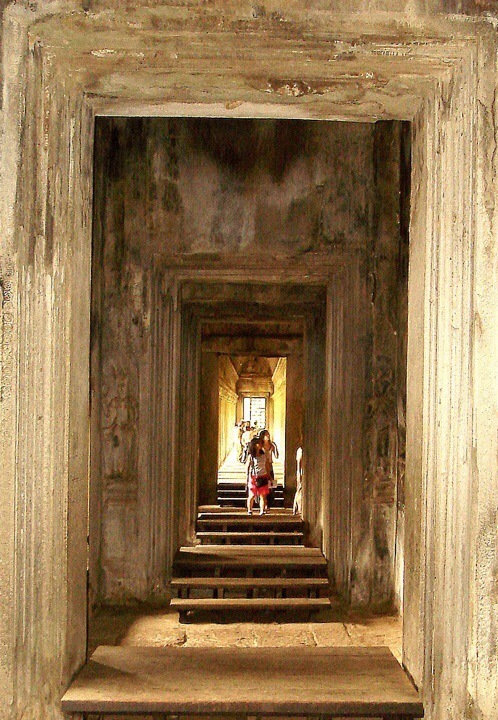 Angkor Wat, with its long galleries and various stages of proximity to its centre is in many ways like an ancient maze. 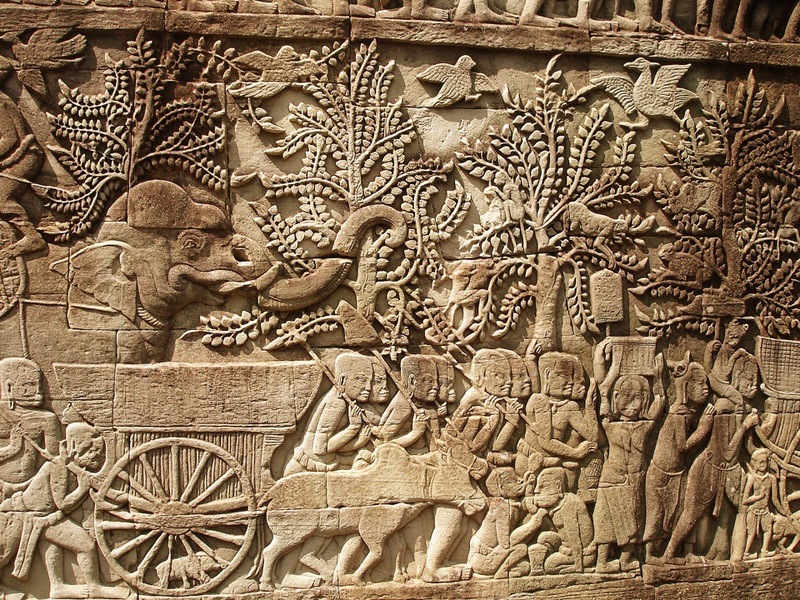 This is a part of the extensive bas-relief work on the walls of Angkor Thom, near Siem Reap, Cambodia. 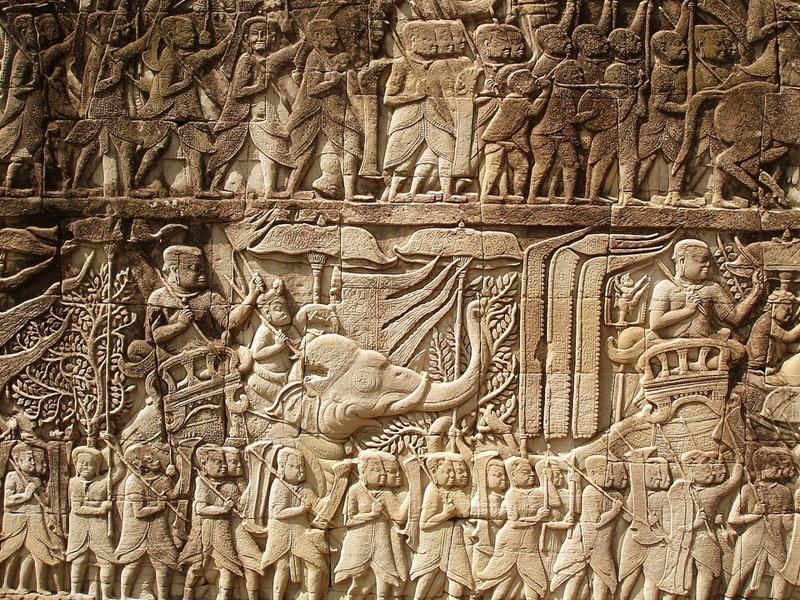 These 12th Century carvings depict life at that time and the grandeur of the Khmer regime. 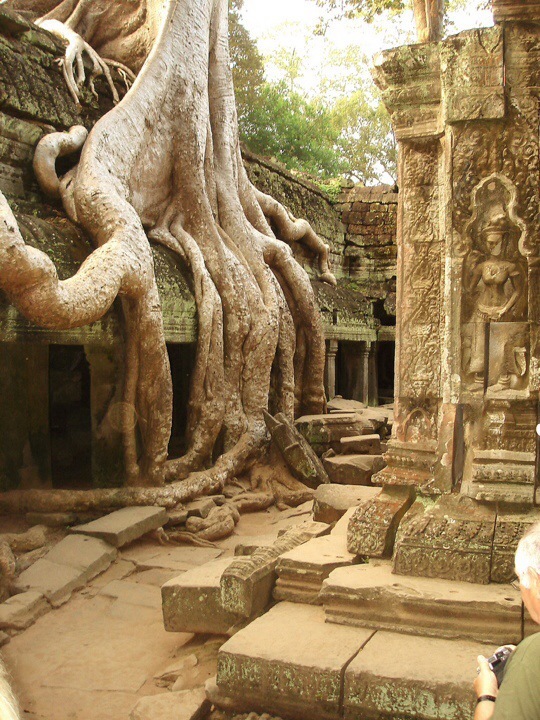 Ta Prohm Temple, part of the Angkor complex, in the clutch of encroaching Banyan Tree roots. 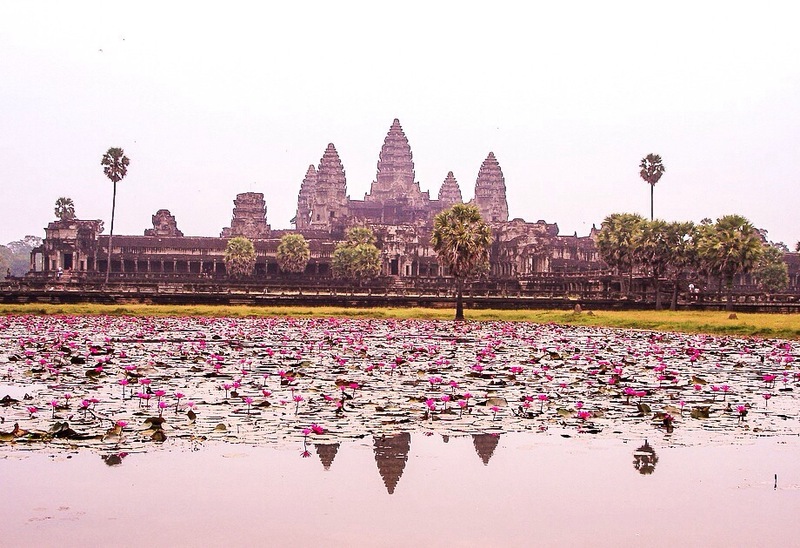 A mystical 12th century structure built by Suryvarman II as capital of the Kmer empire and his own mausoleum dedicated to Vishnu in what is now Cambodia. Later to become a Buddhist Temple. 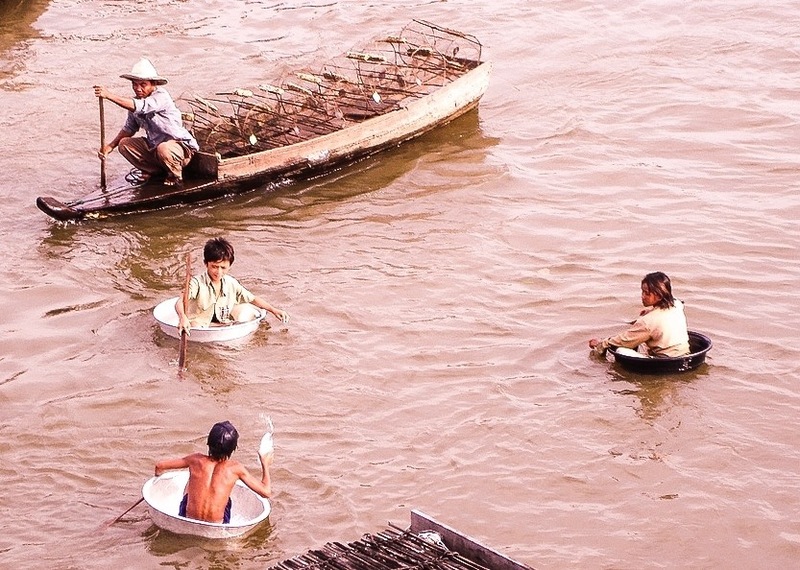 If you live in a floating village on the Tonle Sap lake in Cambodia and send the kids out to play, because they’ re under your feet, they have no choice but to take to the water. Must be fun!